A visit to one of Lisbon’s beaches is a great way to cool off during the city’s warm summer. The best part: most of them are accessible on public transport. Just get there in no time. Find out how in our list of beaches, all an hour away or less. The Estoril Coast has several urban beaches, many of which are Blue Flag beaches. Most have a choice of restaurants and bars. The average sea temperature during summer is 18-22 ºC. Next to the São Julião da Barra Fort, Carcavelos is the beach closest to Lisbon, which means that it’s crowded during the summer months. The beach has the longest stretch of sand on the Estoril coast, and it’s a popular spot for surf and bodyboard during the off season. There’s a surf school. Parking is available. A 15-minute walk from the train station, the Estoril Beach is protected by a cliff, making it ideal for sunbathing all year. It can get crowded during the summer months though. It has a large car park. By train: 20/30 minutes on urban train from Cais do Sodré train station, direction Cascais. Get off at Carcavelos or São Pedro do Estoril. Use the Viva Viagem card. By car: 20/25 minute drive along the coastal road (Avenida da Marginal – EN6). 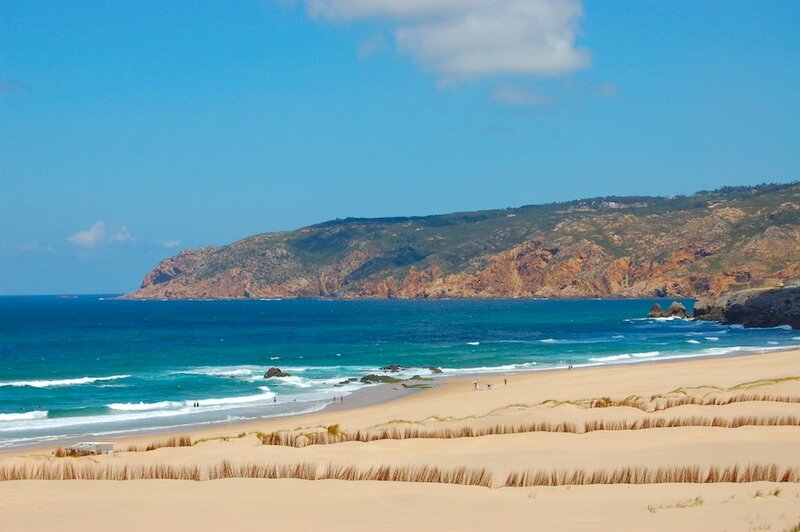 The Guincho Beach is one of the windiest in Portugal, with strong North winds predominant during the summer months, making it the perfect spot for windsurfers, surfers and kitesurfers. On the rare non windy days, it’s a great beach for sunbathing. In any case, it’s worth a visit at least for the beautiful view. There’s camping available at nearby Orbitur Point. 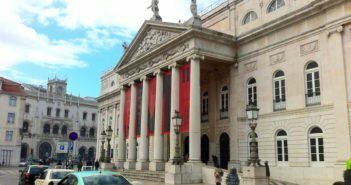 By train : 35 minutes on urban train from Cais do Sodré train station to Cascais station. 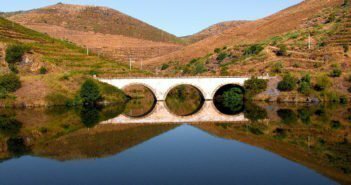 Then either take the bus (#405 or #415) that stops at Guincho and walk the rest of the way, or rent a bike at a Bicas kiosk near the train station. 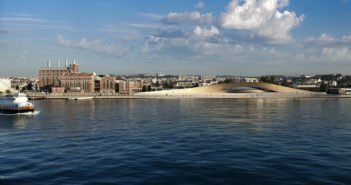 There’s an 8.7km cycle lane running along the ocean that connects Cascais and Guincho. 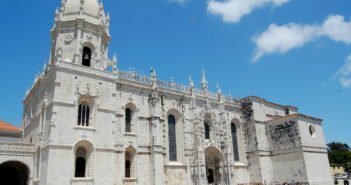 By car: 30-minute drive from Lisbon to Cascais. From there take the Estrada do Guincho (N247) to the beach. 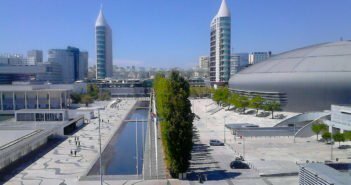 Costa da Caparica is just across the 25 April Bridge from Lisbon. It’s where locals go on weekends to sunbathe, surf and swim. There are different beaches for families, surfing, and a nudist beach. 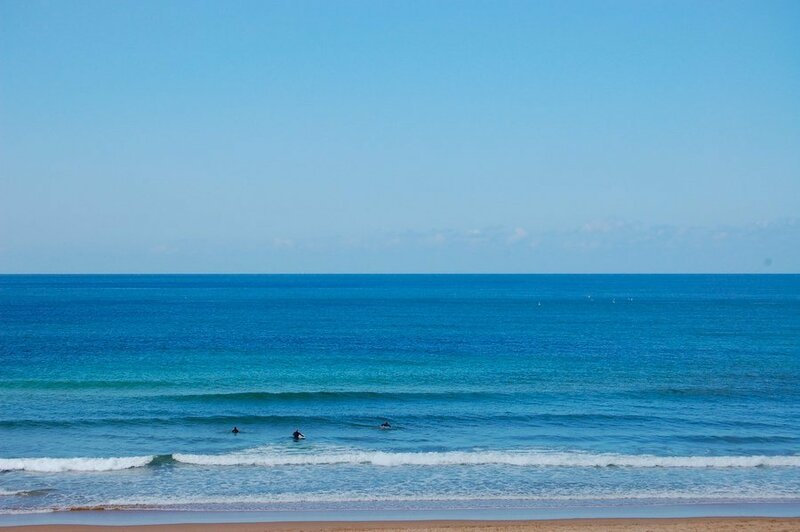 The average sea temperature during summer is 17-21ºC. Costa da Caparica, the town itself, is made up of a few shopping streets with the usual coffee shops and ice cream parlours, but rather indistinctive, and not at all picturesque. However, there’s a very nice seafront promenade with several bars and restaurants. Even though you may expect Costa da Caparica to be full in July and August, having 15km of beaches means you can still find a few spots that are not overcrowded. There’s a mini touristic train, the TransPraia, that runs from the town centre along the 20 or so beaches. Prices for the TransPraia range between €3 for a single ticket (1 zone) and €8 for a return ticket (2 zones). Children pay half the price. These are small urban beaches separated by stone piers, along the promenade, and very close to the town. Most are small, and get crowded during the summer. Reachable on the TransPraia, by bike or car (parking is available), these are two of the most popular beaches. 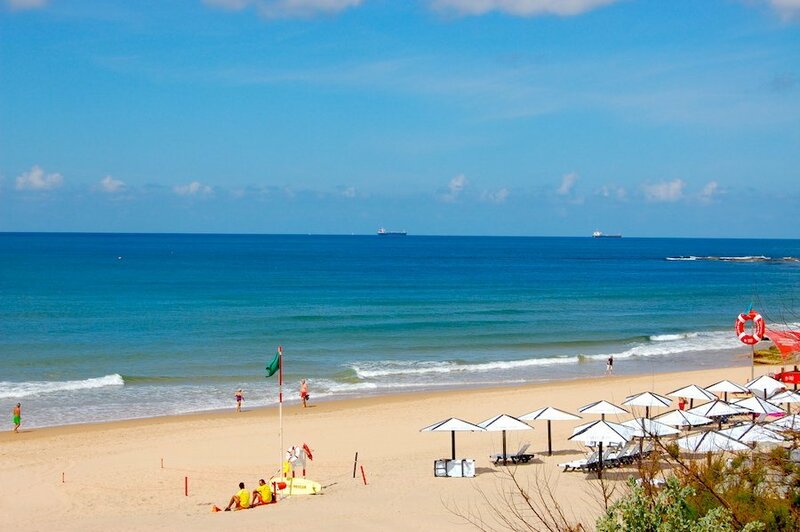 Praia da Riviera is a wonderful youth and family-friendly beach. Waikiki Beach, named after its beach bar, is great for all sorts of water sports. Being almost at the end of the TransPraia line, Beach 19 is a less crowded strand, having become a nudist spot for that reason. However, it’s not completely private as many people cross it while walking along the beach. Fonte da Telha is the last beach on the TransPraia line, near a large fishing community. It offers a large stretch of sand, with a gorgeous fossil cliff scenery as seen from the sand and sea. It has several bars and restaurants. 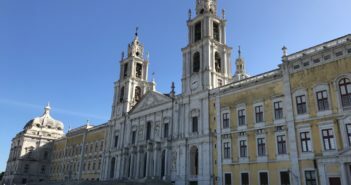 By bus : Take bus #153 from Praça de Espanha (40 minutes), or take bus #161 from Praça do Areeiro (45 minutes). You can reach both bus terminals by metro, get off at Praça de Espanha (blue line) or Areeiro (green line). 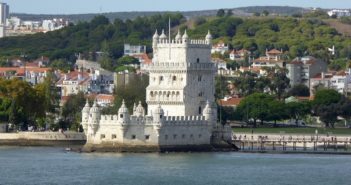 By ferry : Take the ferry from Cais do Sodré to Cacilhas (and see the Cristo Rei, the Statue of Christ), and then take bus #135 to the beach (40 minutes). Take the ferry from Belém to Trafaria and then the take bus #129 to Costa da Caparica (30 minutes). The Viva Viagem card can be used on ferries. 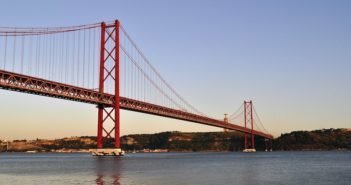 By car : 20-minute drive from Lisbon across the Ponte 25 de Abril and then take the motorway A38.